Want to get off the couch, but you don’t have the best balance in the world so you are afraid to try skiing? Do you want to stay as active outdoors as you did this past summer but unsure how? Try Snowshoeing!! Did you just get a pair of snowshoes and don’t know how to wear them? 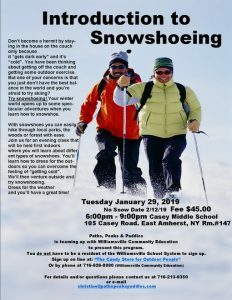 How to walk with snowshoes? Or where to go exploring with your snowshoes? Are you concerned about wearing your large bulky winter coat to stay warm? Have you gone out and wondered why I get cold so quickly and have to call off the outing? 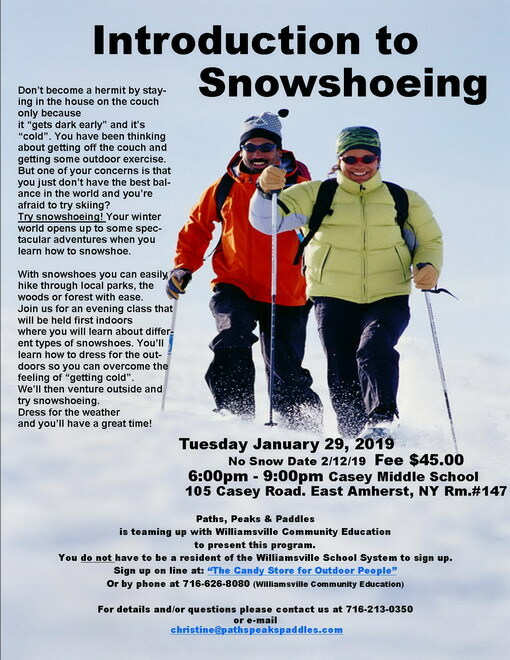 Join us for an evening class part inside where you’ll learn about different types of snowshoes and how to dress for the outdoors. Then, we will venture out and try snowshoeing. Dress for the weather and you will have a great time! 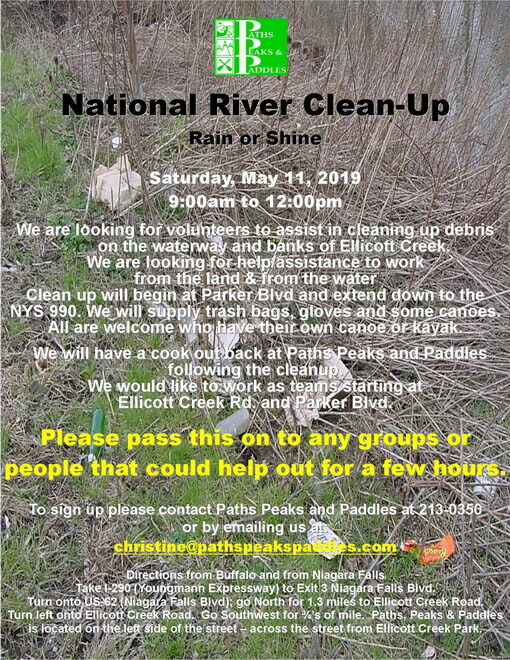 All instructors are NY State licensed guides.